A Cookie is a piece of data stored by a website within a browser which remembers things that a browser has done in the past, such as logging in and which pages were visited. They are used to make interaction with the website faster and easier; helping provide the best user experience of the website. These cookies are used to tailor the website to you by storing your preferences, and to enable certain functionality within the site. These cookies optimize the delivery of your web pages so visitors get the fastest page load times and best performance. These cookies ensure that your visit is counted against the licensing we have to use the McVitie’s brand font. These cookies allow you to share information from the website on social media platforms. These cookies collect your personal details when you are also logged on to Twitter or Facebook so that you can link to those sites more easily. This is used to store user preferences and choices as you browse the site. It disappears when your web browsing session ends. These monitor whether a cookie has already been shown and clicked by a user or not. These cookies are used to enhance the performance of the website. Tracks site usage to help us identify ways of improving the site. These are 3rd party cookies that can be identified by __utm prefixes. Please refer to Google Analytics (www.google.co.uk) for relevant cookie information. 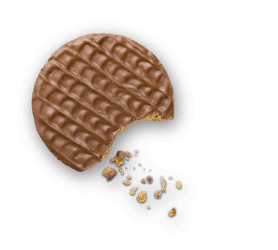 This cookie serves you with advertising relevant to the user based on your browsing of the website and other websites. Cookies are used throughout our websites and disabling them may prevent you from using certain parts of the sites. If you want to disable Cookies please follow the instructions below (if your browser isn't covered please consult the instructions for your browser). In the browser, choose Tools Select Internet Options Click the Privacy tab Adjust the 'Settings' slider to 'Medium' or below to enable cookies, or adjust towards the top to disable all cookies. Click the 'wrench' icon Click Options Select the 'Under the Hood' tab Under 'Cookie Settings' select 'Allow all cookies' from the drop-down to enable cookies, or 'Block all cookies' to disable cookies.